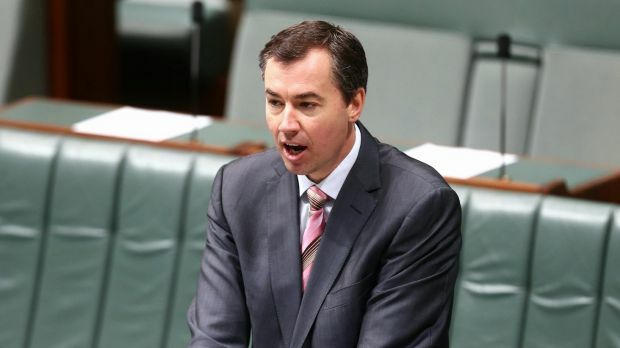 A landmark report on the scale of Australia's ice epidemic has prompted federal justice minister, Michael Keenan, to warn that "our nation's addiction to this mind-eating, personality-distorting, life-ending drug" is undermining the social fabric of communities. The first public report by the Australian Crime Commission on ice warns that crime syndicates are now mixing other illicit drugs into ice to increase addiction levels "in areas the drug has not previously been present". It says the tend toward "poly-drug use" - consumption of more than one drug, and mixing drug use with alcohol - is also "increasing the pool" of ice users. The commission finds that ice, or crystal methylamphetamine, poses the highest risk to the Australian community of all illicit drugs and calls for a collective response from governments, law enforcement agencies, community groups and industry. It identifies several changes in the nature and scale of the methylamphetamine market since 2010, including increased purity, ice now being the dominant form of the drug, and an increase in the importation of the drug and "precursor chemicals" used to manufacture it. "The methylamphetamine market will almost certainly remain entrenched and continue to grow in the medium term," the report, The Australian Methylamphetamine Market, The National Picture, concludes, with crime syndicates finding new ways to launder their profits. Concluding that the methylamphetamine market will continue to grow in the short to medium-term, it says: "This expansion can only be addressed by the collective efforts of the Australian government, state and territory governments, non-government organisations, industry and the community." But the report highlights the challenge by saying there is currently an "unprecedented level of organised crime involvement in high-volume importation and trafficking of precursors internationally and domestically". "These groups have repeatedly demonstrated their ability to adapt rapidly and dynamically to changes in legislation, law enforcement targeting and the market. They have been seen to adjust their sourcing, diversion and importation methods, chemical choices and manufacturing methodologies to adapt to market changes and avoid detection. "When these factors are combined with the tendency of groups to diversify their range of illicit commodities, some organised crime groups will be particularly resilient to law enforcement disruption efforts." The report will be released on Wednesday and has prompted Mr Keenan to observe that the trade is now "paying big dividends to the transnational organised criminal syndicates that are profiting from its misery". "In recent years we've seen the creep of ice use stretch across the nation, with individuals from all levels of society succumbing to its depravity," Mr Keenan says. The report says more than 60 per cent of Australia's highest risk criminal targets, including trans-national targets, are involved in the methylamphetamine market, with the majority involved in "multiple drug markets". It says the importation, manufacture and trafficking of ice is supported by members of Australian-based outlaw motorcycle gangs, people of Middle Eastern, Eastern European and West African backgrounds and Vietnamese, Chinese, Canadian, United States and Mexican crime groups. Organised crime groups are increasingly involved in the importation and trafficking of precursors (for making ice), are adept at exploiting regulatory weaknesses in Australia and overseas, and at adapting to fluctuations in precursor availability, the report says. "Serious and organised crime continues to develop new methods for manufacturing methylamphetamine which rely primarily on uncontrolled chemicals," it says. "Australian-based serious and organised crime groups now have far greater access to high purity imported methylamphetamine, precursors and pre-precursors —through connections that permit the groups to engage effectively with methylamphetamine importing networks from a number of continents." The report warns that violent behaviour associated with ice use is likely to involve non-users, such as first responders, hospital staff and members of the community. "The increase in addiction-related crimes such as burglaries and violent assaults and drug-impaired driving will also place an increased burden on law enforcement agencies, and increase public concern." The report says concern is being voiced in many Indigenous communities that the use of ice will fuel domestic violence, increase tensions from sourcing money for substance use, and result in declining participation in community life, child neglect and sexual exploitation of young people. The report also warns that ice laboratories are often located in residential areas, "therefore posing a risk to the surrounding community" from explosions. It highlights the environmental impact of ice production, saying it is estimated that a clandestine laboratory manufacturing methylamphetamine generates up to 10 kilograms of hazardous and toxic waste for each kilogram of pure methylamphetamine produced. "Toxic chemicals and residues have been found dumped into drains, rivers, public parks, on roadsides and in sewerage systems, posing immediate and long-term environmental health risks. "The chemicals and equipment used in clandestine laboratories manufacturing methylamphetamine and the toxic gases produced are extremely dangerous and pose severe health risks, not only to the occupants of the premises, but also to local residents and emergency personnel." It says the range of criminal activity associated with methylamphetamine use and manufacture includes property offences, money laundering, firearms trafficking and violence. "A number of organised crime groups in the methylamphetamine market have been linked to murders and violent assaults to protect or increase their market share, or for reasons unrelated to their drug manufacture and supply," it says. Please follow this link to view article in your web browser.